Some people believe in a hollow Earth with intelligent aliens, Nazis, and ‘guardians of the planet’ inside. The ‘hollow earthers’ are currently arguing with the ‘flat earthers,’ who insist the Earth is flat. We live on a hollow Earth, insists one group of conspiracy theorists, while the other says our planet is flat. Amazingly, neither group appears to recognize what geologists, astronomers, astronauts, and astrophysicists tell us. Scientists, plus the vast majority of the world’s population, are sure the Earth is round and not hollow. The conspiracy theorists, according to British tabloid the Daily Mail, also believe there is a Garden of Eden paradise inside our planet. They are convinced that Vikings from the lost colonies inhabit this paradise. Believers say we are all safe, because the ‘guardians of the planet’ send UFOs to spy on us. The UFOs’ mission is to keep us safe and avert any potential nuclear war. He insists that there is a whole solar system inside our Earth. Cluff also believes that other planets and moons are also hollow and have their own inner solar systems. In fact, our Moon probably has a bunch of intelligent beings inside it, just like Earth has, hollow earthers say. 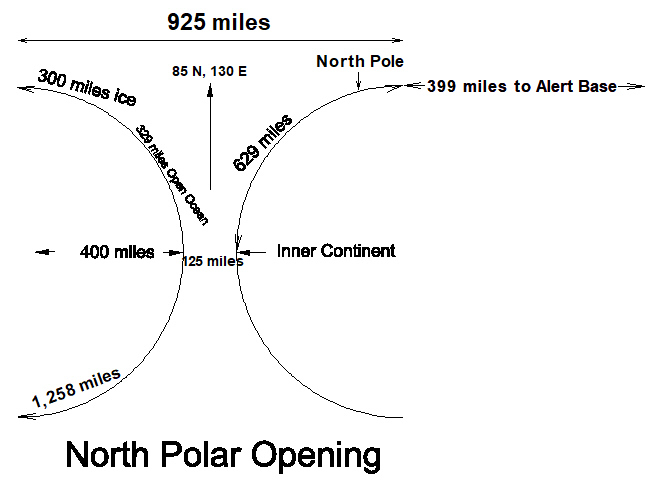 According to Cluff, there are maps that show us where the entrance to Earth’s hollow center is. In fact, hollow earthers tell us that there are several entrances to the inner Earth. However, there are three main ones; one near each pole, and another in the Himalayas. The Earth’s crust, which Cluff calls the ‘shell,’ is approximately 800 miles thick. There is an interior sun that floats in the center of that hollow. This sun has two sides; a day side and a night side. Cluff says many people have traveled to the hollow. They came back with stories about a Garden of Eden. In fact, the paradise has super intelligent aliens who keep us all safe. People who believe in a hollow Earth insist this movement and its recent publicity are genuine. They also insist that it has nothing to do with pushing up the sales of Cluff’s book. According to Amazon.com, Cluff’s book has the answers to the Land of the Lost Ten Tribes and the origin of flying saucers. In the center of our planet, explorers found the City of Enoch and the Throne of David. So far, Nature, Science, PLOS One, and PNAS have not published any studies on the Hollow Earth claim. Neither have Scientific Reports nor Proceedings of the Royal Society A. In fact, there are no peer-reviewed articles on the subject. In 2007, Cluff organized a Hollow Earth Expedition. Participants had to pay over $20,000 each. The initial plan was to set off from Russia on an icebreaker vessel. The ship would travel to the North Pole where the explorers would enter the hollow through an opening. However, they had to cancel the expedition. Cluff and fellow believers said that the cancellation did not undermine their enthusiasm. Their enthusiasm is admirable, given that everything they say breaks most of the current laws of science. 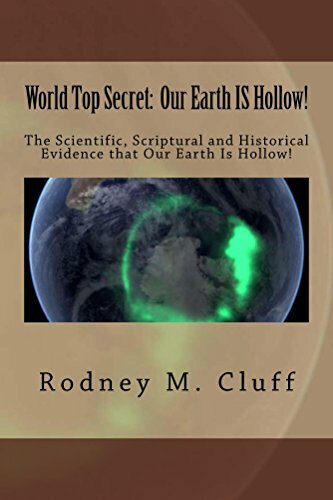 In this OOWK MEDIA video, you can hear an interview with Hollow Earth author Rodney Cluff. Cluff talks about his theories and why he believes sentient beings are living inside our planet.